Railway journeys have been disrupted this afternoon after tracks were blocked close to Stonehaven for a safety inspection. Network Rail staff are currently on the way to the section of line which has been temporarily closed. As a result of the closure, no rail journeys are currently taking place between Aberdeen and Dundee – however, replacement buses are being organised. The railway was shut just before 2pm, after a broken rail was discovered between Portlethen and Stonehaen. 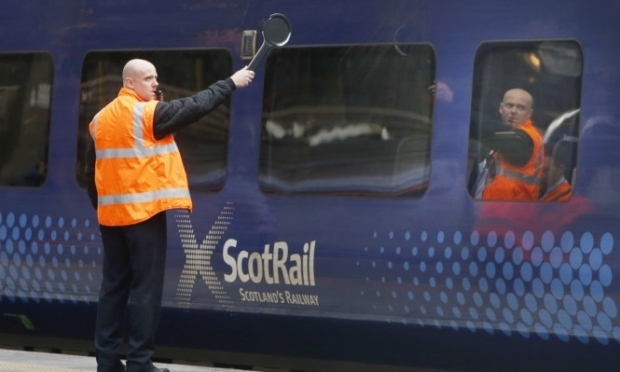 A spokesman for ScotRail said: “Due to a safety inspection of the track near Stonehaven, the line south towards Dundee is temporarily closed. “We’re currently arranging for replacement buses to run from both Dundee and Aberdeen stations. In October, train journeys were disrupted for several days between Aberdeen and Dundee after a derailment at Stonehaven. A ScotRail statement said disruption is expected to continue until 6pm.